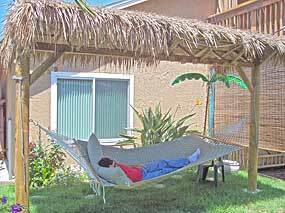 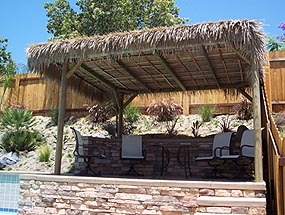 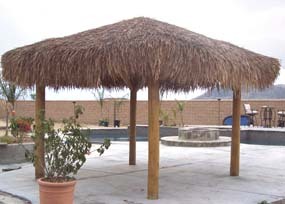 Palapa Umbrellas are tropical-style thatched structures. 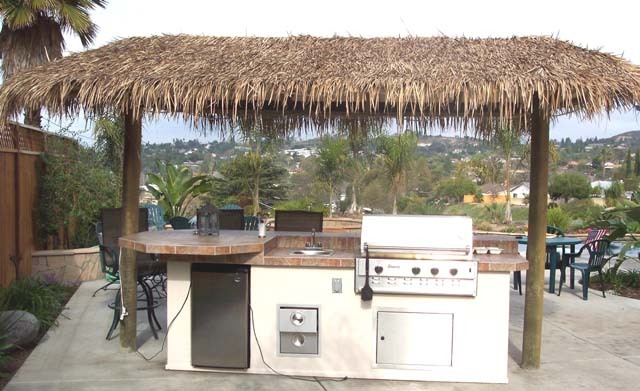 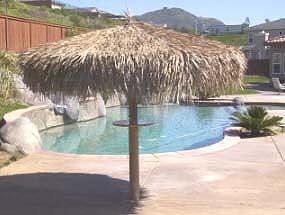 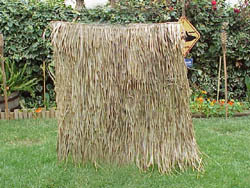 Only pressure treated lodge pole framing used, imported authentic palm thatched top (2 layers). 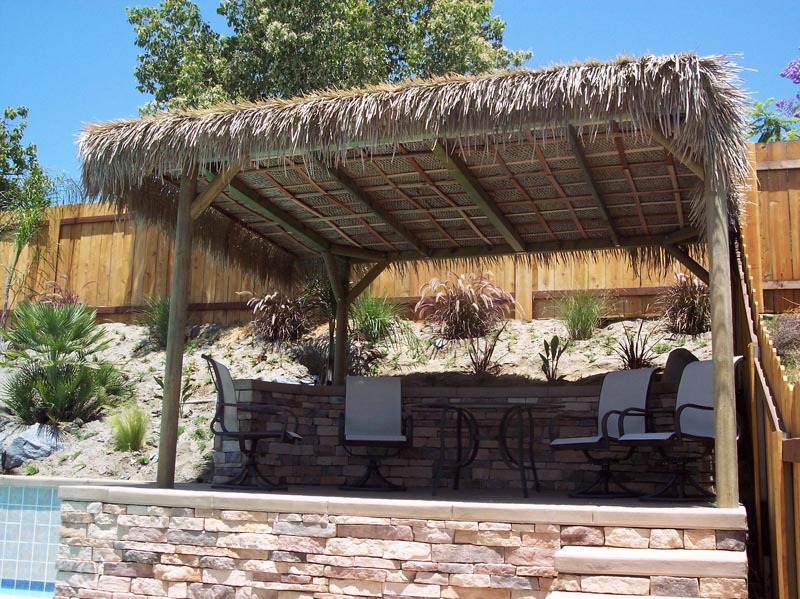 These palapas are designed to be cemented into the ground or through your deck. * Palapas, shown over Barbeque island subject to size. 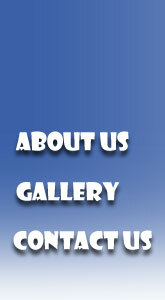 * All prices are base quotes subject to on site assessment.